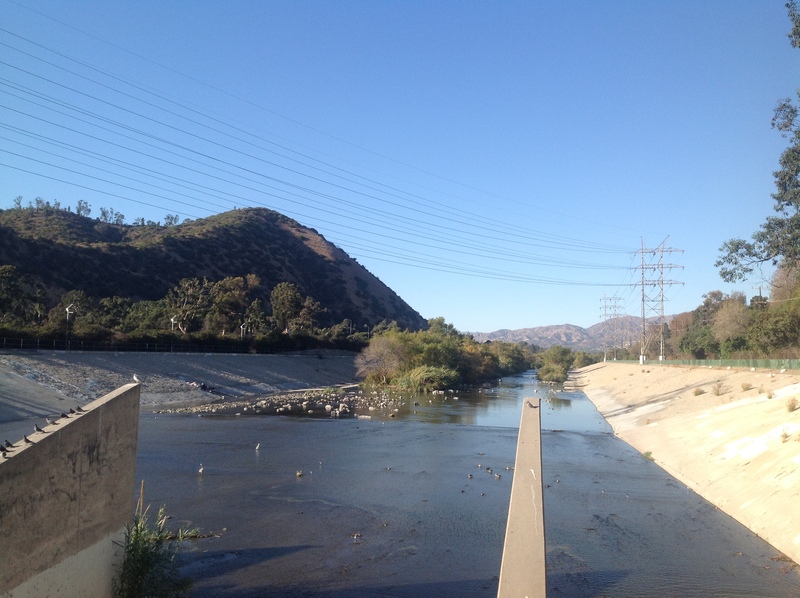 Portion of Los Angeles River That Crosses Atwater Village, North East Los Angeles. Laurissa is a local Nevadan who moved to the state three years ago from Glendale, Calif., but recently came back to the area in search of her missing daughter. “Do you know Gina?” Laurissa coincidentally asked, as she walked along the portion of the Los Angeles River that crosses Atwater Village (an area of North East Los Angeles that neighbors Glendale). After a response of “no,” she explained how she could not come into contact with a girl named Gina after trying for 10 days, while on the verge of breaking apart in tears. After about half an hour, I returned to the scene and again met Laurissa, who was smoking in her car in a parking lot between the Los Angeles River, Los Feliz Cafe and Los Feliz Municipal Golf Course, all on Los Feliz Blvd. She was eager to hear what I had to say because she seemed in desperate need of any guidance. Laurissa said she was at the parking lot waiting for one of the employees at the cafe, who she claimed she was acquainted with, who supposedly also knows Gina. Laurissa was hesitant, when asked, to participate in any sort of questioning or interview for a news story, and said she could not concentrate on anything at the moment. As the conversation went on, Laurissa said that Gina is her daughter. Gina “started acting crazy” and had bursts of anger for short time before she said she is going to the Los Angeles River for two days with a man she claimed she loved, according to Laurissa, who is much older than her daughter. After 10 days of no response to phone calls or any other attempt of contact, Laurissa decided to come to Los Angeles and search the part of the river local to her old Glendale neighborhood, and arrived in the afternoon of April 8, just 30 minutes before meeting with me. Laurissa repeatedly mentioned not wanting to call the police because of her fear that they would put her in jail because she also had a fear Gina was on drugs, as Gina has a history with drug addiction before going to rehab a while ago. After her rehab experience, she was clean, but Laurissa feels her daughter may have fallen back in abusing drugs ever since her outbursts and disappearance. At this point, the full situation, where Gina is, along with what Laurissa will do until Gina is found, is all unclear. “I have no place to stay,” Laurissa said about her arrival in Los Angeles. She spoke while trying to maintain her composure, knowing she has no help, guidance, or support in hear attempt at finding her missing daughter.